Walking my dogs over the winter I have noticed several large trees in my neighborhood. I often get to look at them for quite a while as my dogs sniff around for several minutes to see what other dogs have been hanging out at that tree. 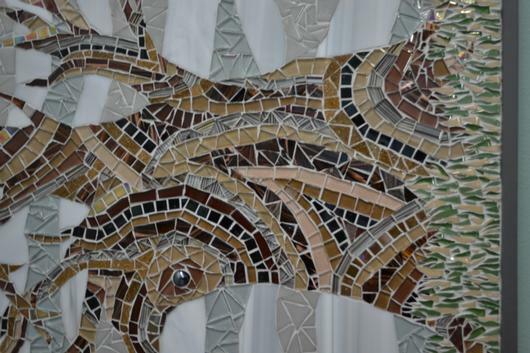 The detail in the bark makes beautiful patterns and I wanted to create a mosaic to mimic that bark pattern on trees. 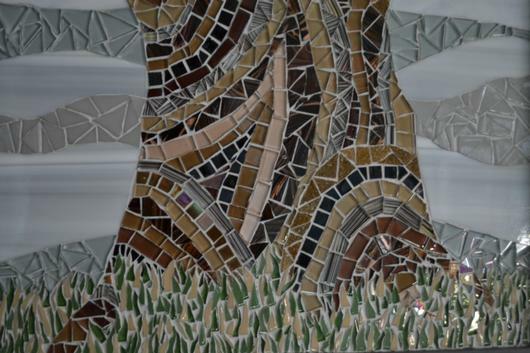 There is a lot of detail work in this mosaic, from the tree bark to the blades of grass and the sky. 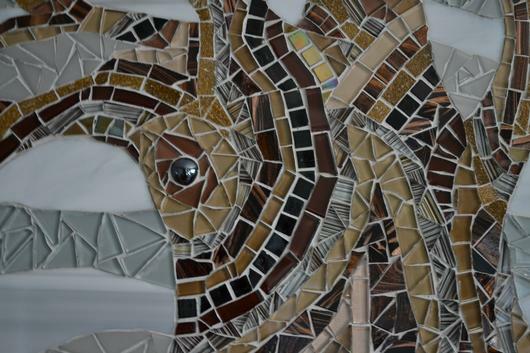 This mosaic is one-of-a-kind made from hand-cut glass tile and stained glass. 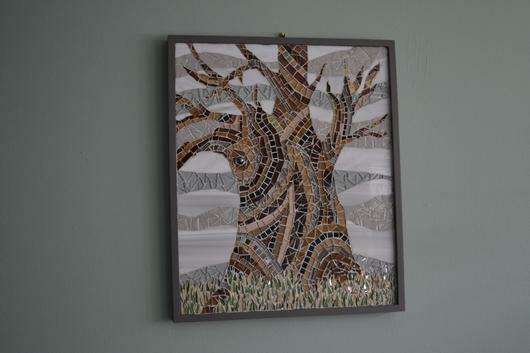 Some of the tiles are iridescent so the piece really shimmers in the changing light. The piece measures 16 1/2 inches wide by 19 1/2 inches high and has an MDF frame that is painted grey. 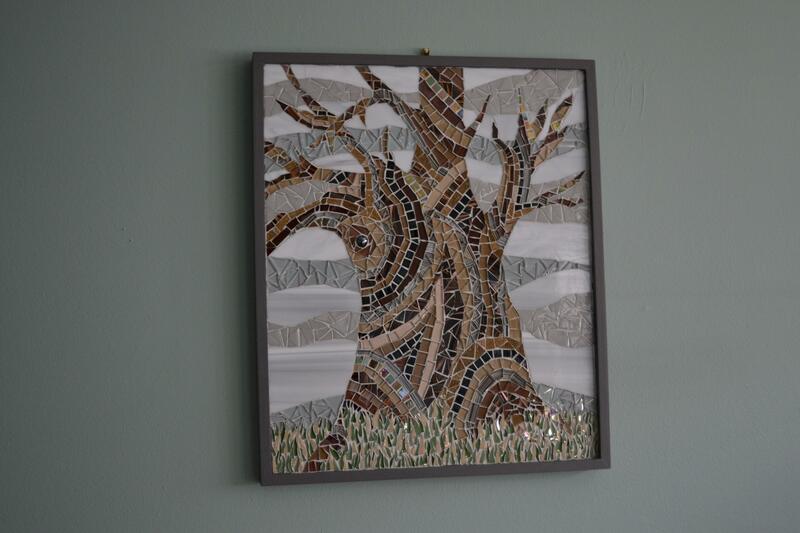 The mosaic within the frame measures 15 1/2 inches wide by 18 1/2 inches high.